Welcome to the Volvo eMedia Center (v2.0). *Please note: Body Builder material is located on our public Volvo Trucks web site here. *Please Note: Check your order status by logging in, then selecting "My Account" in the upper right hand side of the screen. 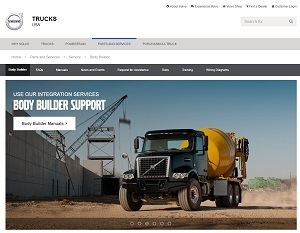 This site offers you the opportunity to purchase Volvo related vehicle information such as service bulletins/manuals, wiring schematics, DVDs, operator manuals, maintenance information, training materials, and Diagnostic Software and Hardware (Premium Tech Tool).